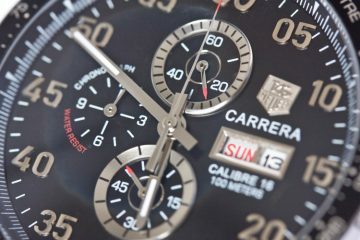 Tag Heuer launched the SLR collection in the mid 2000’s and due to the huge success of these timepieces, over the years it has enriched the series with newer and better models. The key element for all these variations is a very stylish design and extreme performances. 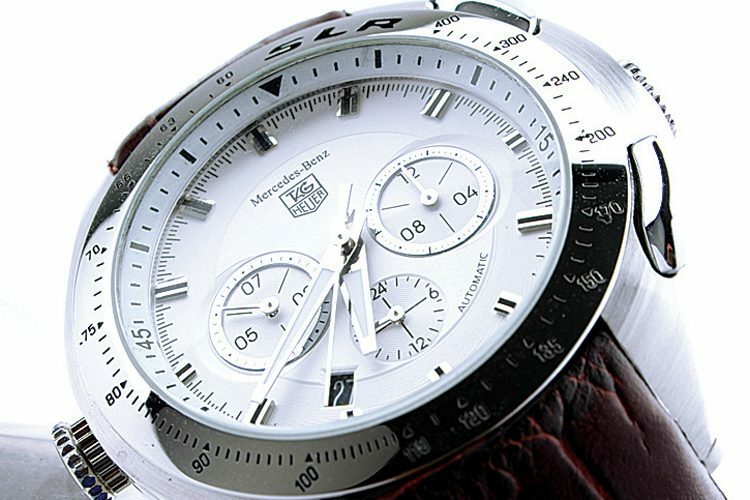 One of the best Tag Heuer SLR models is the limited edition retro looking model Carrera Chronograph Calibre 1887 300 SLR. 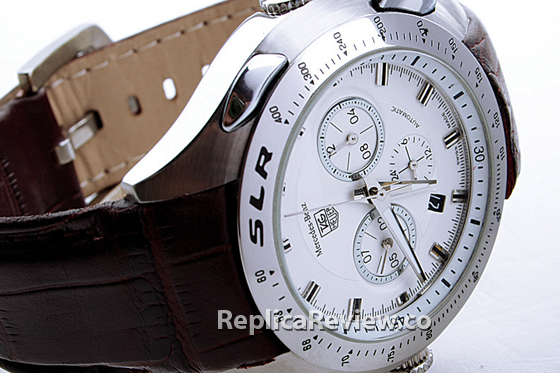 This watch is a reminiscence of the SLR super car and its design features clean lines and outstanding complications. 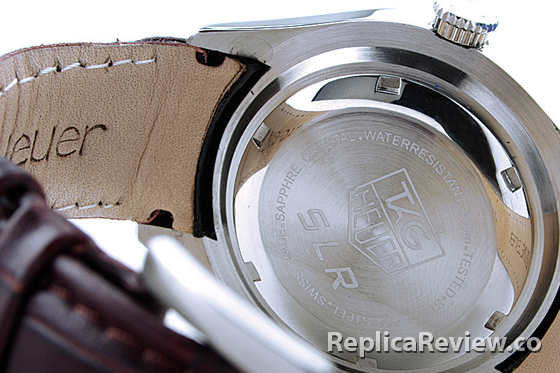 The reference number of this specific Tag Heuer SLR watch is CAG2110.FC6209 and it was released in 2007. 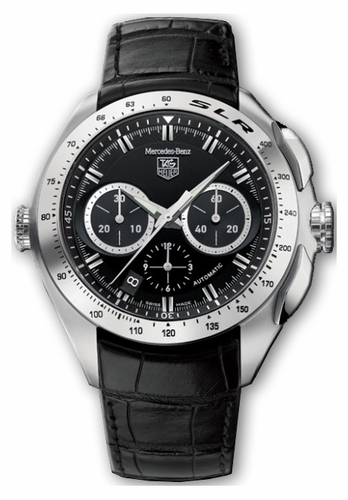 The thing is that this special edition watch comes only with a black dial and a black alligator strap. 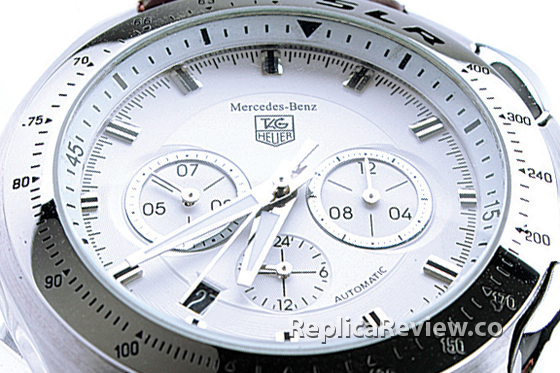 Tag Heuer didn’t make it with a white dial. 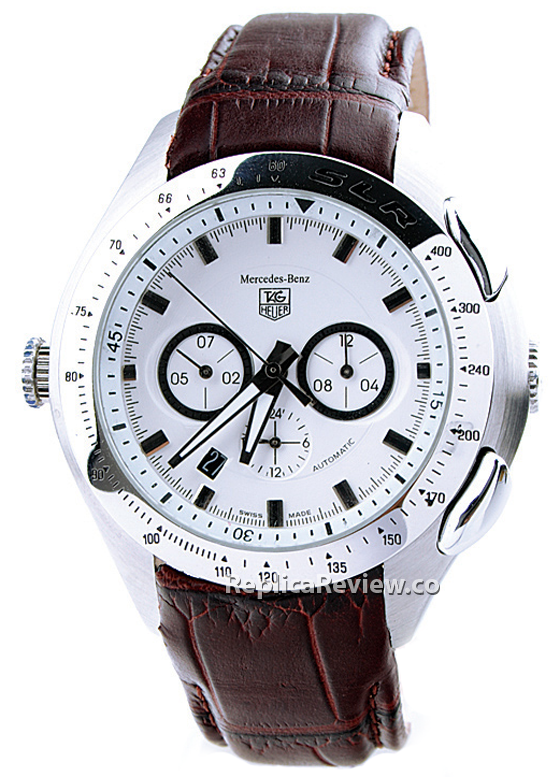 The only Tag Heuer SLR with a white dial manufactured by this brand is the model with reference number CAG2011.BA0254, but this version has a wider date window instead of the 6 o’clock small dial. 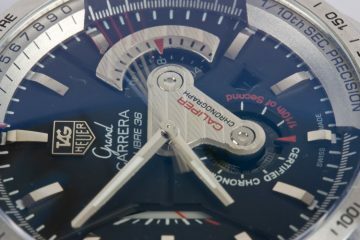 Still, there are not that many people around who can spot these differences as Tag Heuer has constantly launched new SLR models with numerous aesthetic improvements. 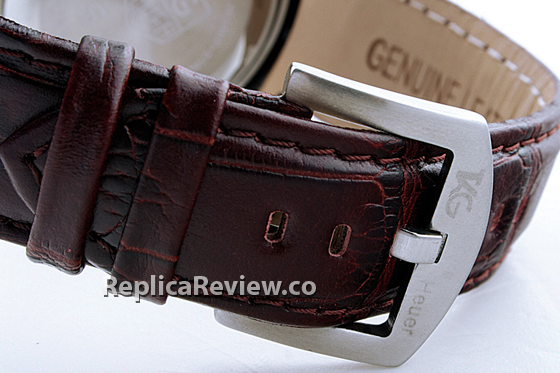 These continuous changes have made it very difficult to differentiate a replica from the original product.